Bally Mens Footwear Size Guide Stride off with pride wearing the Bally™ Pearce. Soft suede leather upper. Signature stripe across penny-keeper style strap at the vamp. Slip-on design. Moc-toe stitching. Smooth leather lining. Lightly cushioned leather insole. Textured and durable synthetic outsole. Made in Italy. This item may ship with an attached security tag. Merchandise returned without the original security tag attached or a damaged tag may not qualify for a refund. Measurements: Weight: 13 oz Product measurements were taken using size 10.5 UK (US Men's 11.5), width D - Medium. Please note that measurements may vary by size. Weight of footwear is based on a single item, not a pair. Bally Mens Footwear Size Guide Stride off with pride wearing the Bally™ Pearce. Leather upper with signature stripe across the vamp. Slip-on loafers. Moc toe stitching. Leather lining. Leather insole. Textured synthetic outsole. Made in Italy. This item may ship with an attached security tag. Merchandise returned without the original security tag attached or a damaged tag may not qualify for a refund. Measurements: Weight: 13 oz Product measurements were taken using size 9 UK (US Men's 10), width D - Medium. Please note that measurements may vary by size. Bally Mens Footwear Size Guide Stride off with pride wearing the Bally™ Pierrick Driving Loafer. Genuine leather upper. Slip-on style. Penny keeper strap with hardware logo. Perforated panels at the vamp. Moc toe stitching. Leather lining. Lightly cushioned leather insole. Textured rubber outsole. Made in Italy. This item may ship with an attached security tag. Merchandise returned without the original security tag attached or a damaged tag may not qualify for a refund. Measurements: Weight: 14 oz Product measurements were taken using size 10 UK (US Men's 11), width D - Medium. Please note that measurements may vary by size. Weight of footwear is based on a single item, not a pair. 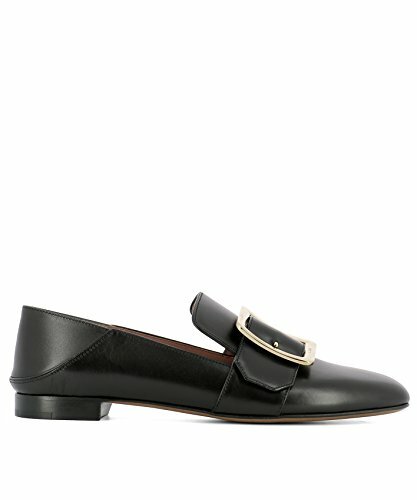 Bally Mens Footwear Size Guide Stride off with pride wearing the Bally™ Mody Loafer. Burnished leather upper. Slip-on style. Penny keeper strap at the vamp. Round toe. Leather lining and insole. Rubber outsole. Made in Switzerland. This item may ship with an attached security tag. Merchandise returned without the original security tag attached or a damaged tag may not qualify for a refund. Measurements: Weight: 1 lb 1 oz Product measurements were taken using size 10 UK (US Men's 11), width D - Medium. Please note that measurements may vary by size. Bally Mens Footwear Size Guide Stride off with pride wearing the Bally™ Webb Loafer. Pebbled leather upper. Slip-on loafers. Notched penny keeper at the vamp. Leather lining. Lightly padded leather insole. Stacked heel. Synthetic outsole. Made in Switzerland. This item may ship with an attached security tag. Merchandise returned without the original security tag attached or a damaged tag may not qualify for a refund. Measurements: Weight: 13 oz Product measurements were taken using size 10 UK (US Men's 11), width 3E - Extra Wide. Please note that measurements may vary by size. Weight of footwear is based on a single item, not a pair. The classic Wabler driver by Bally features premium calf grained leather uppers, woven ribbon detail across vamp, full leather linings and driver style rubber outsoles. Made in Italy. Bally Mens Footwear Size Guide Stride off with pride wearing the Bally™ Relon City Penny Loafer. Grained deer leather upper. Slip-on style. Cemented construction. Penny keeper strap at the vamp. Leather lining and insole. Stacked heel. Leather outsole. Made in Switzerland. This item may ship with an attached security tag. Merchandise returned without the original security tag attached or a damaged tag may not qualify for a refund. Measurements: Weight: 1 lb 2 oz Product measurements were taken using size 10 UK (US Men's 11), width D - Medium. Please note that measurements may vary by size. Weight of footwear is based on a single item, not a pair. Bally Mens Footwear Size Guide Stride off with pride wearing the Bally™ Larso Loafer. Crosshatched leather upper. Slip-on loafers. Notched penny keeper at the vamp. Leather lining. Lightly padded leather insole. Stacked heel. Leather outsole. Made in Switzerland. This item may ship with an attached security tag. Merchandise returned without the original security tag attached or a damaged tag may not qualify for a refund. Measurements: Weight: 1 lb 1 oz Product measurements were taken using size 11 UK (US Men's 12), width D - Medium. Please note that measurements may vary by size. Weight of footwear is based on a single item, not a pair. 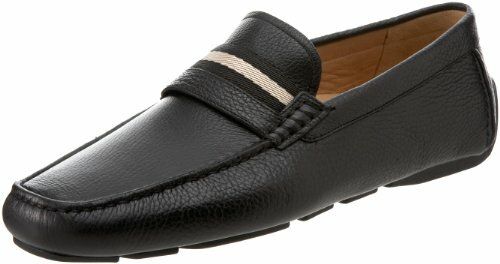 Looking for more Bally Loafers similar ideas? Try to explore these searches: Lenox Pebble Point, Waxed Polyester Thread, and Non Stick Bake Pan. Look at latest related video about Bally Loafers. Shopwizion.com is the smartest way for online shopping: compare prices of leading online shops for best deals around the web. Don't miss TOP Bally Loafers deals, updated daily.